#TBT: Where the Hood At? A Fanatic’s Tribute to DMX – redleafgoldteeth. X, The Dog, Earl Simmons. Father of twelve with multiple women, proclaimed sufferer of bi-polar disorder, filing for bankruptcy, and of course legal trouble that includes: animal cruelty, reckless driving and drug possession. Now, you might be wondering, “Isn’t this fool supposed to be writing a tribute to one of the greatest hip-hop artists to ever live? Why start by listing of the controversial highlights from the endless list that has formulated over his career? Let me tell you something, life isn’t a fairy tale. Although the great Darkman X has often been immersed in unfortunate circumstances, (sometimes even unforgivable) I won’t remember him for that. I’m going to remember him as being one of the most influential artists that was around during my early years. I’ll remember him for his appreciation of his dawgs and how his admiration for them complemented a voice that got him multiple chart-topping albums. 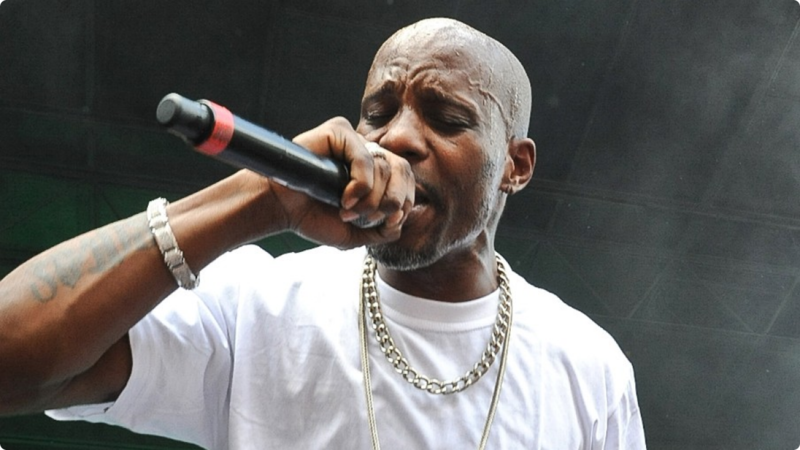 I’ll remember DMX as someone who introduced some of the world’s greatest rap anthems ever. With his aggressive nature combined with his ‘IDAGF about anyone’ type attitude, it’s easy to see why he’s seen himself face undesirable consequences time after time. But sometimes, his out-of-the-line personality has periodically blessed the internet with some of the most hilarious clips you’ll ever see. His interaction with individuals is just priceless, making him one of a kind. Just go on YouTube, enter in “DMX funny” in the search tab and grab the popcorn. Those who already know what I’m talking about remember him giving us an insane twist to one of the most famous holiday jingles, Rudolph the Red Nosed Reindeer or when he was filmed used Google for the first time in 2012. I bet you 9/10 interviews with DMX are worth the view, especially the ones where he shits on the people he probably wouldn’t add onto his friends list on Facebook (he probably doesn’t even have one but…). His hard-nosed responses make you want to believe that this guy probably fired his publicist the very first week on the job. Simply put, DMX is the realest to ever do it. It never seemed to be that he never had anything to hide, and his outspoken nature gives him a unique characteristic that no one can take away from him. When I ask you what’s your favourite DMX song, what would you say? “X Gon Give It to Ya”? Maybe “Party Up (Up in here)”, or “Get It On The Floor”? 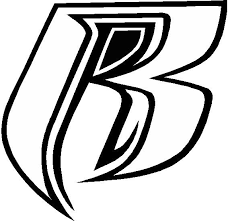 Or maybe you associated DMX with more sentimental tracks like “Ruff Ryder’s Anthem”, “The Rain”, or “We Right Here”. You might realize after naming these songs that choosing that one favourite might be tougher than initially. With all these classics filling up his discography, they’ve undoubtedly cemented DMX’s status as one of the GOAT’s. Even now, you’ll still catch these tunes on a myriad of soundtracks and trailers of all sort in pop culture. 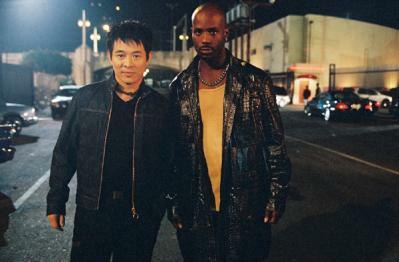 Side Note: Let’s not, for one second forget about the movie “Cradle To The Grave” back in 03′ where he starred in along side my brother from another mother,Jet Li. It’s just amazing how one’s voice like DMX’s synced so well with the type of music he presented through the years. With the upbeat tracks like “Get It On The Floor”, you can inevitably feel the energy soaking through your body as you should with a proper party track. On the slower, more sensitive tracks like “Slippin” you can feel the raw emotion that is projected by his tone of his signature voice. As I mentioned earlier, DMX wouldn’t be DMX without his ad-libs. But if there was one other thing that sets him apart of the rest, it would be the way he manipulates his tone of pitch. The unorthodox method throughout his career has granted him immeasurable success and respect in the rap game and it’s also given something for the people to remember him by who aren’t so familiar with him. In no way do I think DMX will ever make a comeback (not to say that he couldn’t, or shouldn’t). He’s 45 years old, so far gone from his prime. At this point in his career, and life, he could probably be considered as a case study for the younger generation, on the up’s and down’s of being in the public spotlight. But for me, DMX was one of the first rappers I ever listened to; He will always be a legend. Along with the usual suspects that dominated in the late 90’s/Early 00’s, DMX was one of the few who influenced my music taste back then and I wouldn’t be shocked if my taste in music now was influenced by some elements of his work. He was recently dinged for a 6-month sentence in the dog pound for not paying for child support starting in July, but as of now he’s been released after only 3 months due to some fortunate findings in his case. Word has it is that he went to the studio the night of. I’m truly curious as to what kind of progress he made in the studio that night. What ever the case may be, I am fully not expecting him to drop anything in the distant future. If that news got your pants tingling even the slightest (“no homo, thug”), then I would suggest that while you hope and pray for something that probably will never get released, go buy and listen to DMX’s Greatest Hits album. I kid you not, I’ve listened to it a couple of times now and it’s the reason why I’m bringing you this article today. Enjoy, my dawgs.